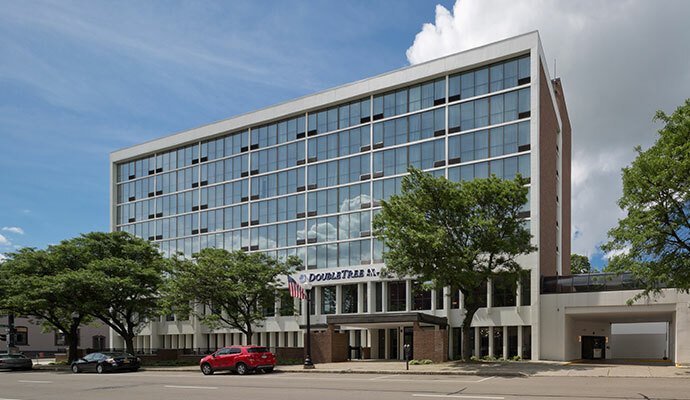 Our DoubleTree by Hilton hotel is located at 150 West 4th Street in Jamestown, NY, and is currently under construction. Plans for this project call for a fully renovated 147 room full-service hotel with restaurant, and 4,000 square feet of banquet and meeting space. Located in Jamestown, NY, approximately 90 minutes from Buffalo, NY. 147 room full-service hotel with a patio, bar, and restaurant, and 4,000 square feet of banquet and meeting space. Jamestown is home to the Lucille Ball Comedy Festival and the soon-to-be National Comedy Center, a world-class attraction based on the celebration of comedy.